Grow your own beefsteak tomatoes! Step 1 for growing your own beefsteak tomatoes: Choose a variety, buy your materials and pick out a sunny spot for planting. 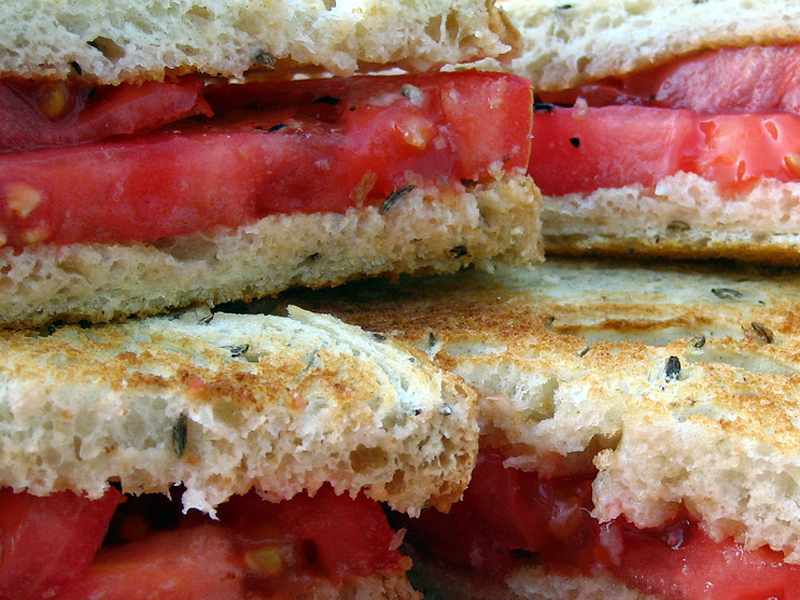 Love the beefsteak tomatoes you pick up at the roadside stands and at the farmers’ market every summer? Ever wished you could grow your own? Getting started is pretty easy. There’s no shortage of expert gardening and backyard farming information online - this blog series is not intended to be a one-stop resource for growing beefsteak tomatoes. But I do hope to provide enough basic information and guidance to get you going. I started trying to grow backyard beefsteak tomatoes in 2002 and I’ve had both good and bad years. Weather is always a gamble, pests vary from year to year, finding the time to properly care for and prune the plants has always been a challenge, and my arch nemesis is a hungry groundhog living under the neighbour’s shed. His diet seems to consist of whatever my wife and I decide to plant in a given year! And in recent years even the industrial-grade chicken wire fortress built around the garden has been compromised! But I’ll save that for a future blog entry. Let’s grow some beefsteak tomatoes! If you’d like to try growing some beefsteaks this season, even just one plant, it’s not too late to get started. I’ll help you pick a variety, prep the soil, and plant, fertilize, prune, cull and harvest your treasures. What’s the best variety of beefsteak tomato? The best variety of beefsteak tomatoes is a contentious topic. From what I gather, the most popular variety these days is Big Beef. I’ve grown them before and had some great success. They’re large (over a pound if you’ve done your pruning and culling) and they’re fairly disease-resistant. I’ve also had some great Beefmaster and Better Boy harvests. I’ll grow 3 of each, which should mean that by August-September I’ll be giving them away to friends and neighbours and I’ll be the most popular guy on the block. If you’ve never grown your own beefsteaks and you’ve just spent the winter eating store-bought tomatoes picked long before they were ripe, then any variety you choose will be an improvement. And most beefsteak tomato varieties, including the ones I’ve mentioned above, should grow big enough that one slice will cover your burger or make up the bulk of your toasted tomato sandwich. I expect each plant will produce 10 to 20 beefsteak tomatoes. So in your case, choosing the number of seedlings to plant will depend on how often you plan to eat tomatoes and how many people you’re feeding. The six I’m planning to grow is definitely too much for my family, but as I mentioned above, I like to give them away. If they’re available, buy the Big Beef variety. If your soil is acidic (low pH), crushed limestone or bone meal can help prevent blossom-end rot. You can mix some into your soil if you know the pH is low, or you can keep it on hand in case you see calcium deficiencies come up later in the season. Note: Crushed eggshells can work well for this too. Then, pick out a small plot in your yard; if you’re planting more than one, they’ll need to be 2 to 3 feet apart. Make sure the spot you pick gets full or near-full sun. But don’t plant them yet! Just pick the spot. I’ll share a few planting secrets in the next entry that could make a difference in your success rate. Pick up one of those half barrels and a small load of soil. This should suffice for one 5- to 6-foot plant. Important: These are just guidelines and suggestions from an amateur farmer. There are lots of gardening experts out there with better advice than mine. But if you have no idea where to start, this blog series might help. And over the course of this season and (hopefully) future seasons, you’ll start to figure out a system that works best for your soil and environment. And every year you’ll learn something new. In the coming days I’ll post the next segment, dedicated to preparing the soil and planting your seedlings. Upcoming entries will include guidance on watering, protecting, staking, pruning, culling and harvesting. If you have questions, if I’ve forgotten something or said something wrong, please comment below. And let’s grow these beefsteaks! 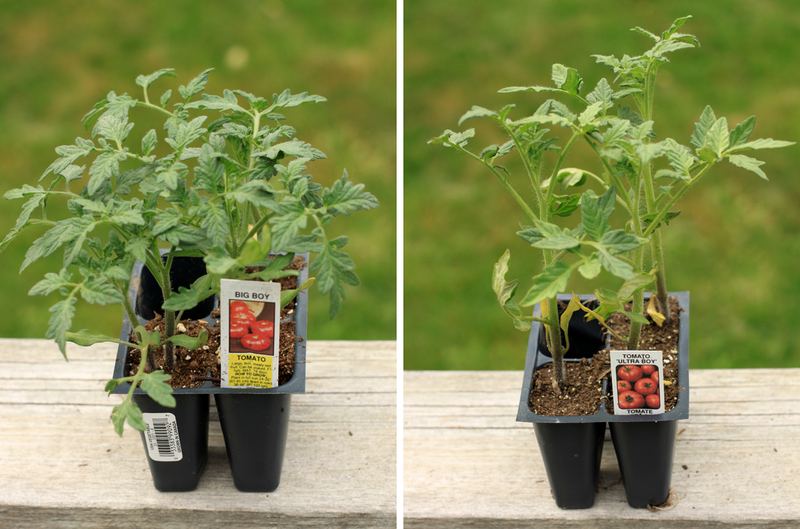 Read part 2: Let’s plant those beefsteak tomatoes! Let’s plant those beefsteak tomatoes! Looking forward to your next post, as I have just bought seedlings today (Big Beef and a Roma variety, for a change), along with some nice organic compost. I was going to ask about fertilizer, and am pleased to see you answered that already! Due to lots of shade in the best planting spots, I’m going to use a half-barrel (one for each type of tomato). So, bring on the planting tips! Hi Andrea! Thanks for commenting, and I sincerely apologize for not responding to your comment sooner. I hope you found the posts about planting, and staking and pruning your plants. We’re hoping to ramp up our blog in the coming months, and I hope you’ll visit again soon.